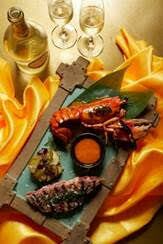 Pirata Group has a festive line up to keep Hong Kong merry and satisfied throughout the season. With special tasting menus on offer at every restaurant on Christmas Eve, Christmas Day and New Year’s Eve, alongside generous free-flow packages featuring wines, prosecco and beers, Pirata Group has a menu and an atmospheric setting to fulfil every festive wish. 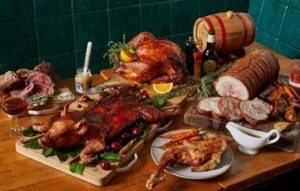 MEATS in Soho is putting on a tender, juicy and satisfying Christmas feast like no other, available on Christmas Eve and Christmas Day. The five-course special Tasting Menu (HKD480) boasts flavoursome Small Plates such as the signature Chicken Liver Pate and Octopus with Bagna Cauda and smoked paprika, succulent Sharing Plates of Suckling Pig, Broccolini, and what Christmas is all about – Roast Turkey. There’s also Roasted Rib Eye and Ugly Potatoes that are cooked in chicken juices with garlic and thyme. If that isn’t enough, a Chocolate Fondant served with caramel ice cream and popcorn is available for an unforgettable desert. For a delicious meal with family and friends Pirata has a wonderful five-course tasting menu (from HKD450) available Christmas Eve and Christmas Day, for all to enjoy. 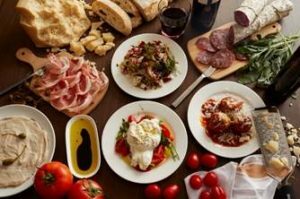 Groups large or small will feel at home sharing generous plates of honest Italian food, made with fresh ingredients and cooked with love. The menu features Pirata favourites such as My Mama’s Meatballs and Eggplant Parmigiana, as well as delicious pasta’s such as Liquid Parmesan Ravioloni. Executive Chef Stefano will be preparing home-made Tiramisu or Pana Cotta for an indulgent way to round off the evening. 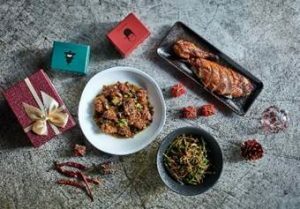 Madame Ching, anchored on Star Street, is offering an innovative Chinese Christmas Tasting Menu, that’s ideal for families hoping for a memorable meal this season. Taking reservations for Christmas Eve and Christmas Day, the special Tasting Menu (HKD480) is influenced by the exotic travels and adventurous spirit of the restaurants namesake. Diners can expect to share dishes at the table such as the Amadai fish with braised eggplant and black beans, refreshing Tuna Poke and Surf Clams, and the main event: juicy Roast Duck and Suckling Pig that’s perfect for a Christmas feast. The Seasonal and Sharing plates are served alongside an assortment of Side dishes including Long Beans and Brussel Sprouts, ensuring the whole family is perfectly satisfied. Dinner is completed with refreshing Yakult Ice cream. Whether it’s family coming together, or friends old and new, Chifa is taking reservations for Christmas Eve and Christmas Day, and is offering an exemplary four-course tasting menu from HKD380. 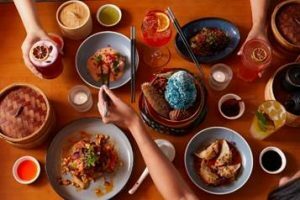 Serving Chifa cuisine, a combination of Peruvian and Chinese, it’ll be a Christmas meal to remember. The tasting menu, designed to be shared with all guests at the table, comprises of small dishes such as Silken Tofu, beautifully wrapped Dumplings, mains such as Baked Salmon or Rack of Lamb, as well as a selection of desserts such as Arroz Con Leche. Kick-off New Year’s Eve celebrations with a home-made pasta feast at Hong Kong’s favourite neighbourhood pasta bar, Pici. Straightforward food that is perfectly simple, Pici restaurants serve the best quality ingredients and dishes that are full of flavour and character; just what’s needed before a New Year’s night out. Pici restaurants in Central, Wan Chai, Tsim Sha Tsui and Shatin will be serving a New Year’s Eve Tasting Menu (HKD580) and taking reservations from 8:45pm on 31 December (excluding Pici Shatin). Diners can expect to share refreshing starters such as Seafood Carpaccio, dishes of fresh, hand-rolled pastas, such as Tagliolini with White Truffle, and desert favourites, Tiramisu and Panna Cotta. To get you in the New Year’s spirit, a free flow package featuring Italian wines, prosecco and beer is available for HKD180 per person. TokyoLima is bringing in 2019 in style; with its expansive bar, a restaurant area for groups large or small, seating that overlooks the open kitchen and a private dining room – there’s no better place for a New Year’s Eve celebratory dinner. On 31 December, TokyoLima will be serving up a Nikkei cuisine tasting menu, starting from HKD550 featuring small plates, hot plates, salads and of course desert. Embracing what New Year’s Eve is all about, the innovative menu created by Head ChefArturo Melendez is designed to be shared. For the special occasion, a DJ will play throughout the night and there’s a number of other surprises the TokyoLima team has planned to ensure it’s an evening not to be missed. New Head Chef Antoni Bero, hailing from Valencia, has designed a four-course Tasting Menu (from HKD680) specially to welcome in 2019. 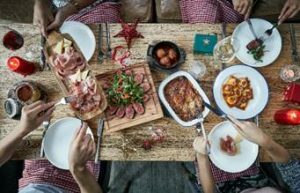 On the menu, groups large and small can expect to find generous authentic Northern Spanish dishes, designed to be shared. 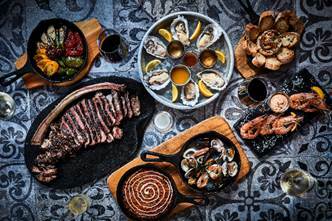 To begin the meal, there’s Daniel Sorlut Oysters and Jamon Iberico de Recebo, followed by three Starters including Gambas “A la Plancha” blue prawns and Charcoal Grilled Chorizo Criollo. For Mains there’s Chateaubriand or Mediteranian Whole Seabass ‘A La Espalda’ and for desert guests can indulge in a beautiful home-made Flan or delicious Berry Cheesecake. Whether it’s an intimate dinner party or a larger celebration spanning over the whole floor, the beautiful vintage décor and the alluring charm of old-world Europe are bound to impress. Ring in 2019 at the Chaiwala New Year’s Eve after party for a vibrant and lively night out. 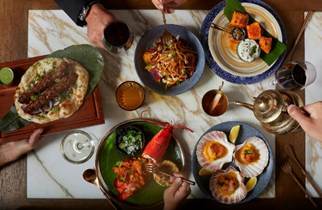 Tuck into the NYE Tasting Menu (from HKD580) of modern Indian cuisine throughout the night, before the party starts at 12am. Those who have dined at Chaiwala, or any Pirata Group restaurant in Central that evening, will have complimentary entry to the party. The Chaiwala New Year’s Eve party is open to everyone; tickets can be purchased in advanced at hkclubbing.com for HKD420. Alternatively, tickets can be purchased directly at Chaiwala before 31 December for HKD400 or on the night for HKD500. Tickets include entry to the party and two drinks. With Chaiwala’s colourful interiors, talented DJ and fun atmosphere, there’s no better place to celebrate and dance the night away.